Small DC motor can operate from 0.5VDC up to 9VDC. Will operate from most solar cells (larger than 2" diameter). 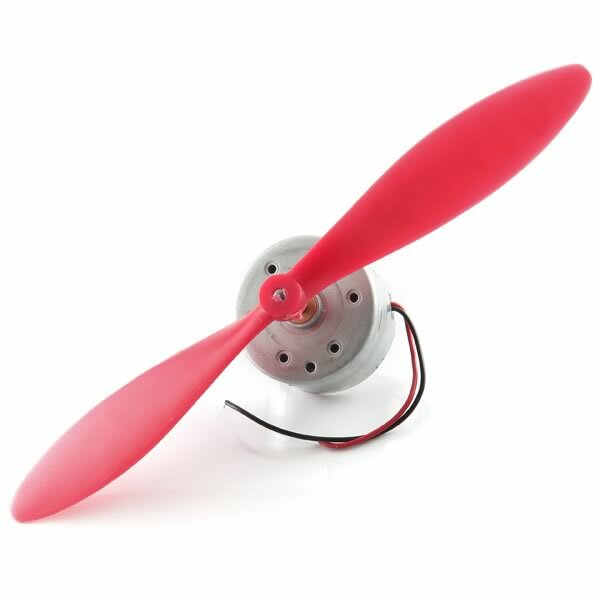 A red 4.4" long propeller is attached to the 0.94" diameter x 0.57" thick motor. Motor has color coded leads and solder eyelets (either can be used for power hookup).